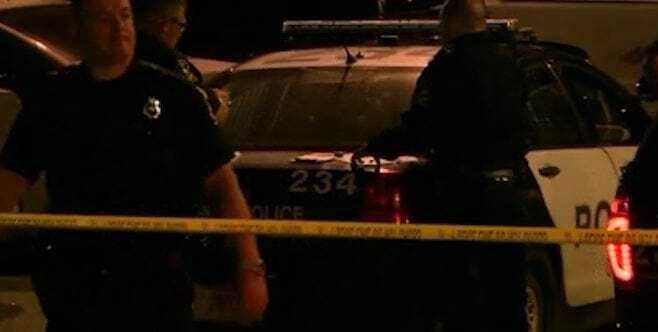 A 16-year-old girl has been charged with the death of her daughter after she threw her out of a window just seconds after she was born. When Antonia Lopez, from Nebraska, gave birth she allegedly threw the baby from her bedroom window before posting onto Facebook begging her friends for a ‘huge favour’, reports The Sun. The Facebook status was posted at 3:40am on Friday morning, over half an hour before paramedics arrived at the scene. The post asks: ‘Who can do me a huge favor and has a car?’, followed by three crying emojis. It is thought that immediately after posting the message the teen told her mum what had happened, explaining that she panicked and threw the newborn out of her window. Her mother then ran outside and performed CPR on the baby before calling police and an ambulance. The baby was later pronounced dead. It’s caught me by surprise. I just can’t believe it. Stunned. She looked like she was well underweight more than anything else, I would’ve never dreamed that she was pregnant. In my head, I just can’t believe it, I can’t believe it. 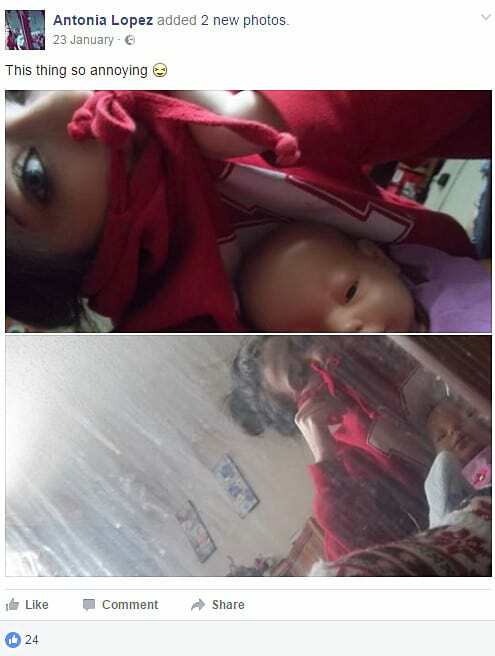 Back in January, Antonia posted onto Facebook posing with a baby doll writing ‘this thing so annoying’ – however, it is unknown whether this has any relation to the recent killing. Something had to have been going on for her to freak out and do this because I’m telling you, she is nothing like this. I talked to her everyday, like seriously. And she might’ve said that baby doll project was annoying but that doesn’t mean she thinks all babies are annoying, so many people in my class said that when they had that project.